The groans from marketers about the lack of transparency, viewability and accountability in ad tech are growing louder by the minute. In fact, suspicion of everything that ad tech represents is almost fashionable. A growing hostility toward online advertising and the bewilderment from some about the ad industry’s transparency trials deserve no respect or accommodation. Were we really all sitting down open- mouthed at the novelty of how ad tech was making media smarter by the minute, or did we lose sight of the fundamentals of our business – assessing how advertising pennies are really being spent online? Automation is not going anywhere, with eMarketer predicting that by the end of 2017 programmatically traded ads will account for more than 75% of all UK digital display adspend. 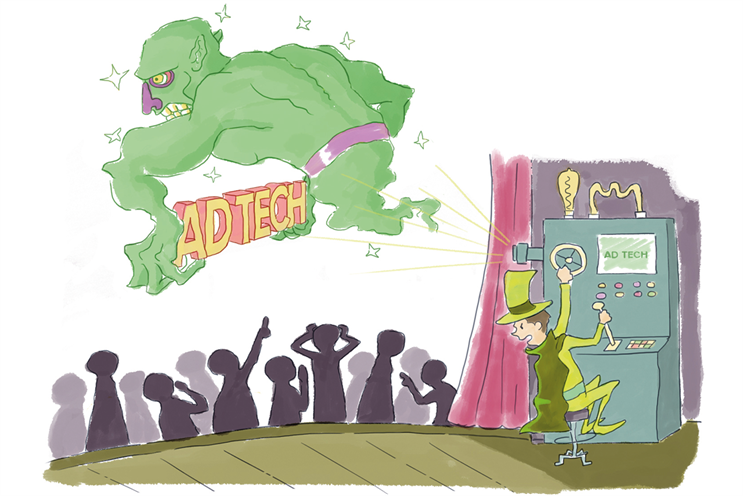 Ad tech, with its transformative powers, will continue to reshape the dynamics of advertising. The question remains — how do we realise its potential? There is no quick solution to the current situation, but it should be easy, in principle, to start moving in a direction where we remember what we’re here to do. For a start, as a marketer, never forget that nobody knows your business and your customer better than you. And follow these four golden rules. It exists to help automate and facilitate the buying and selling of digital advertising. It helps target, deliver and analyse digital advertising efforts. Done well, that means the right content, to the right consumer, at the right time. It means good media buying, knowing what to deploy, when, and understanding targeting and contextual relevance in every interaction, no matter where the consumer is. The challenge for marketers is to build up knowledge of how the ad-tech ecosystem works, overcome any fears, and use their newfound confidence to get the best value from their agencies. Good marketing has always been good marketing, and bad marketing will always remain bad. As an industry, we cannot allow ourselves to be seduced by what technology allows us to do, but decide what we really want it to do. If we’re driving money to the lowest-quality publishers, it is because we’ve missed a real opportunity to understand the true value of ad tech. There needs to be a better understanding of data, tech and content as well as increased transparency, ultimately leading to better partnerships between clients, agencies and tech partners. we didn’t have the ad tech tools available to us? We don’t need to start hiring IT people to do this for us – the fundamentals of marketing remain the same. The upside of ad tech is the potential to deliver more effective advertising than ever before; that dream of right ad, right customer, right moment, right context. But first we must make a concerted effort to invest in our own talent with training that will demystify ad tech and arm them with the knowledge and skills they need to fully grasp that future opportunity.